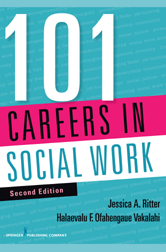 With a focus on the interdisciplinary nature of social work, the book describes both traditional careers and those that are off the beaten path in such arenas as forensic social work, social entrepreneurship, working in political systems, international careers, and community practice. 1 What Is Social Work? How Is Social Work Different From Other Related Professions/Disciplines? How Did Social Work Begin? What Is the Future Outlook for Social Workers? What Steps Are Involved in Becoming a Professional Social Worker? What Degree Do I Need to Become a Social Worker? What Are the Prerequisites for Being Accepted to a Social Work Program? Who Qualifies as a Social Worker? What Is the Purpose of Licensing? What Do I Need to Know About Social Work Licensing? Is Licensing Really Necessary for the Social Work Profession? Do All Social Work Jobs Require Getting a License? If I Am Licensed in One State, Will I Be Able to Use This License in a Different State if I Relocate for a Job? What Are the Differences Between a License, a Certification, and a Credential? After Graduation From My University's Social Work Program, Will I Be Able to Obtain a License? Where Can I Learn More About the Requirements for Social Work Education, Supervision, and Licensing? Self-Assessment Checklist: Is This Job for Me? III WHERE DO WE GO FROM HERE?